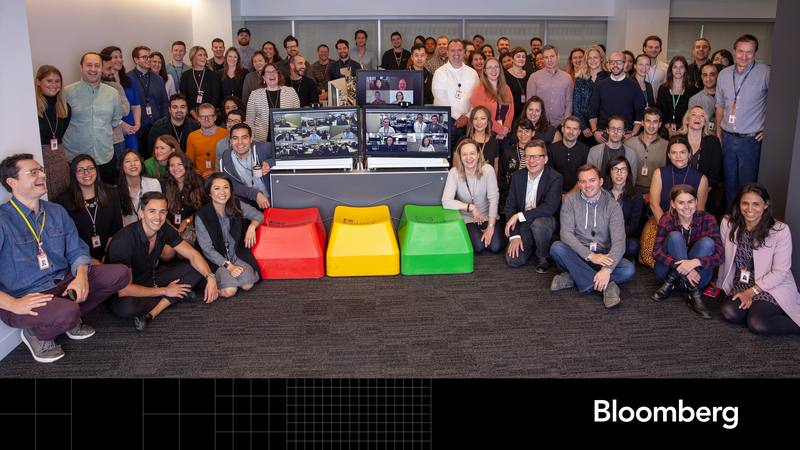 Bloomberg Studio is a global in-house agency comprised of 100+ people in New York, London, Hong Kong and Beijing, working across nine disciplines: Creative & Branding, Digital, Video & Motion Design, Social Media, Content Marketing, Marketing Technology, Brand Strategy, Market Research, and Operations. The team responds to 600+ creative challenges per month, supporting every department across a 20,000-person company. In 2017, Bloomberg Studio completed 1,200+ print projects, issued 11MM+ emails across 1,100+ campaigns, supported 3,100+ events in 95 countries, and helped drive 19MM+ visits to their marketing websites. They also helped launch the first global newsroom built for Twitter: TicToc by Bloomberg. Combining product information with market insights, the team drove 1MM+ views to its Bloomberg Professional Services Terminal blog, a 49% increase year-over-year, and the overall website yielded tens of thousands of new leads. They also created a new Financial Brands Image Library across mobile, web, video, print and events. And, built a system that randomizes financial data in 3D, then captures animations frame-by-frame from 12 angles for a library of 33,000 unique images. To brand their new European Headquarters, Bloomberg Studio created everything from building signage to employee welcome kits. And, they visualized Terminal data in real-time, playlisting 30 stories per hour on a nine-meter screen in the building’s common area. They even branded the restored Roman temple seven meters beneath the building, turning the London Mithraeum into one of the most talked about attractions in the city. They supported Bloomberg Philanthropies’ annual report design, event signage, and website launches—and built USVIrecovery.org in just 24 hours, raising millions of dollars for victims of Hurricane’s Irma & Maria. Their final achievement, The Power of <GO>, is an anthem video telling the story of Bloomberg’s unique products and brand to the world. An in-house agency like no other, producing work like no other—that’s Bloomberg Studio. 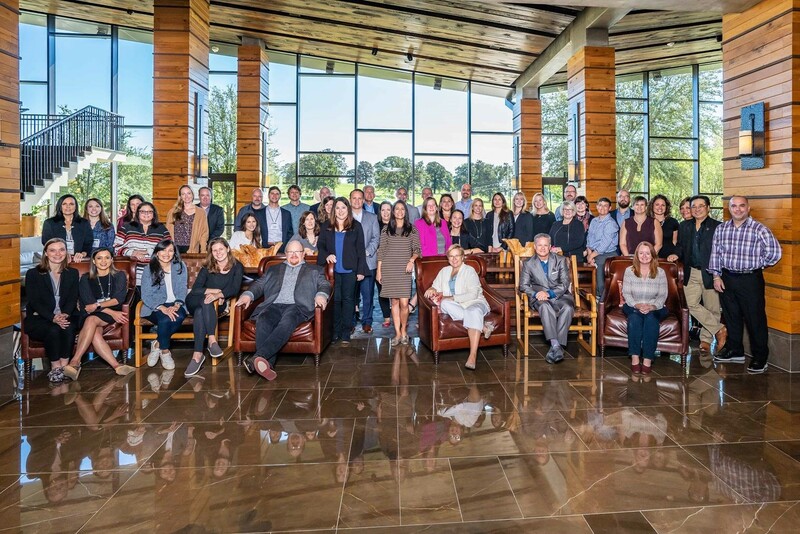 Two years ago, Deloitte’s Green Dot Agency embraced the opportunity to stand-up a new in-house team—a challenge they compare to changing tires on a car while it’s careening down the highway at 60 MPH…on fire! How did they do it? By putting people first. Big investments were made in training and giving people ownership of their own careers. This includes rigor around job descriptions, and creating and hosting learning events from technical skills to design thinking to how to be a better coach. They implemented an interactive storytelling platform. Tested expanded personalization on Deloitte.com. Launched their first digital-reality experiences for demos and events. And, pioneered the use of augmented reality and geo-targeted. They also advanced their measurement and analytics—launching four self-service dashboards to measure, monitor and optimize campaign performance. With no added headcount, they zeroed-in on operational efficiencies. A new automated workflow system enabled them to redirect 24,000 hours to strategic endeavors. Their new DAM system boosted collaboration and reuse of assets. And, newly negotiated vendor contracts saved the firm well over $1MM. 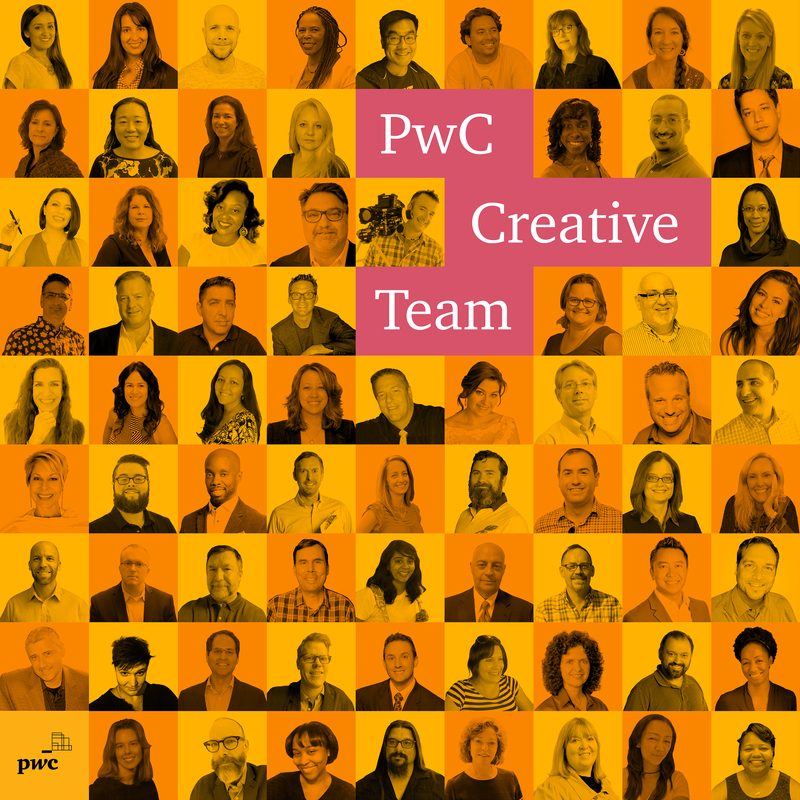 The Creative Team at PwC took significant steps this past year, enabling and empowering its people to approach problems with a digital mindset. The in-house agency collaborated with digital professionals across the firm to reconsider design’s traditionally one-way street. User experience, design thinking, architectural renderings, and motion graphics were paired with chatbots, drones, beacons, and virtual reality to turn heads. PwC’s video and animation group upgraded and expanded its media studio to produce live shows in record time, with extended capabilities enabling the launch of PwC’s first 3D holographic display. The team redesigned PwC’s flagship web property, migrating traditional page layouts to scrolling templates for better storytelling and viewing on mobile. Trade shows and conferences also received a digital upgrade with robotics, artificial intelligence, augmented reality, facial recognition, and the Internet of Things (IoT) routinely included, as fabric signage was replaced by next-generation projection technology. By putting digital tools in the hands of its people, sharing ideas, analyzing data and listening to stakeholders, the in-house agency is driving increased value for PwC.